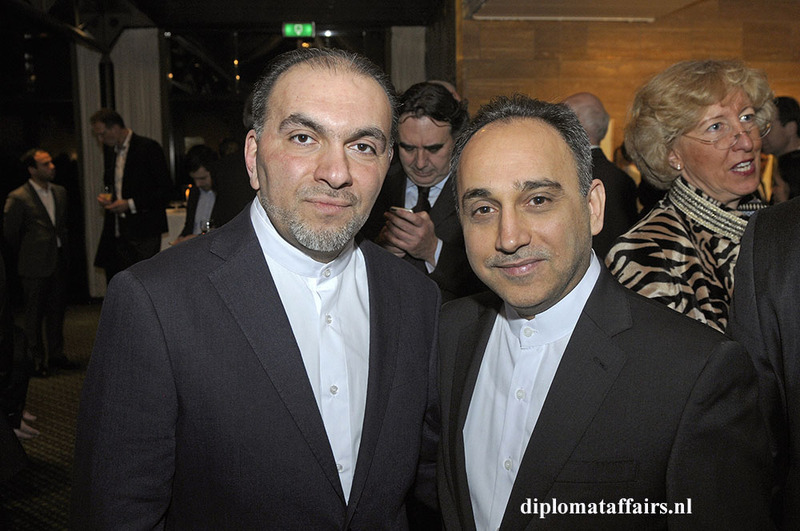 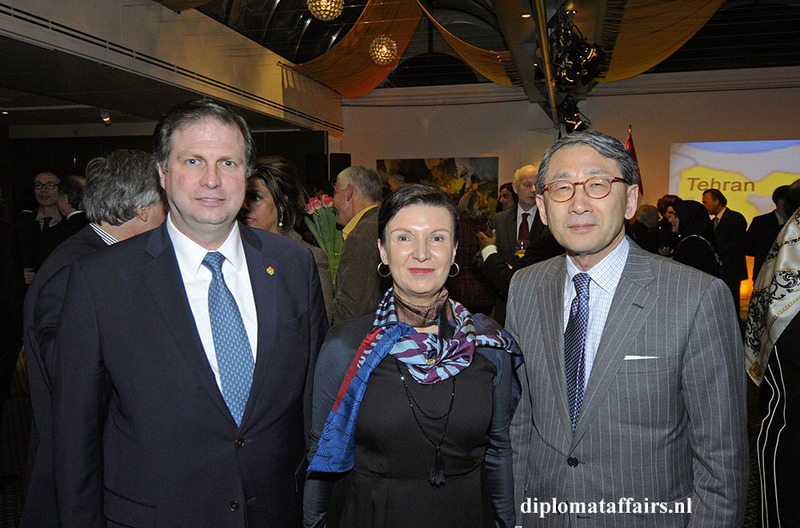 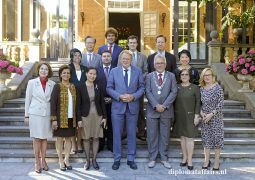 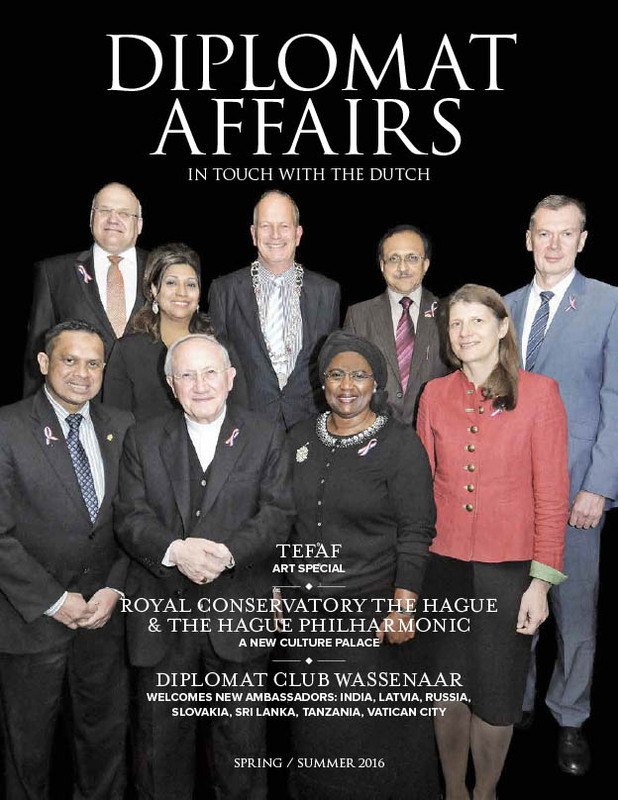 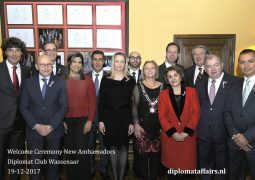 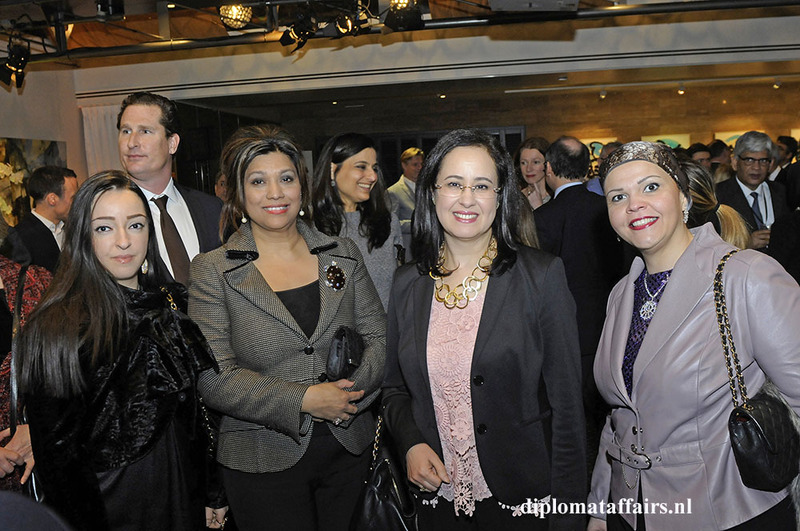 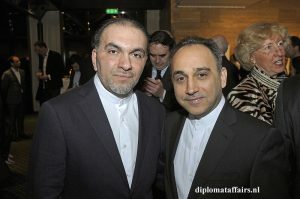 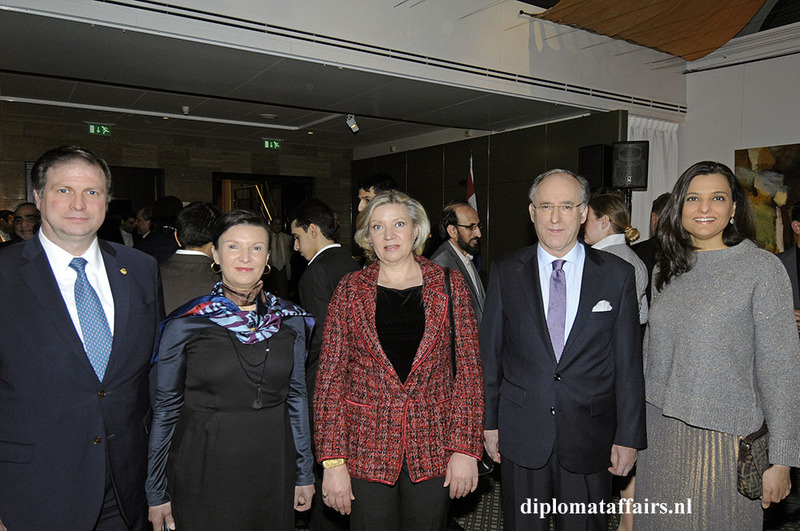 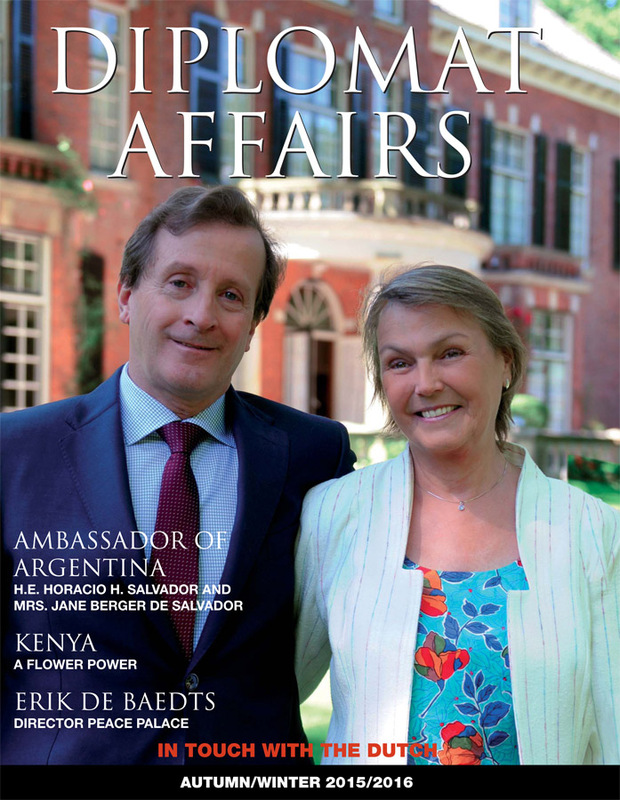 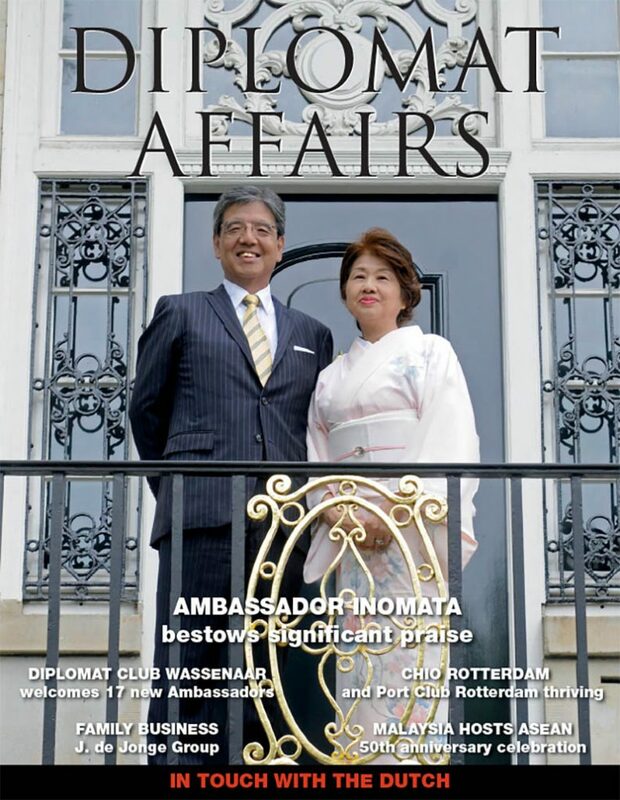 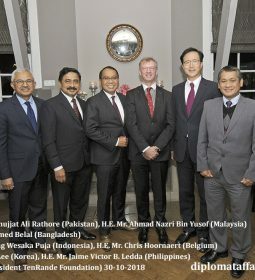 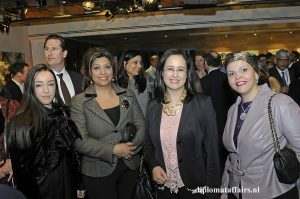 An opulent ceremony was held at the Diplomat Club Wassenaar at the Kasteel De Wittenburg by the Embassy of The Islamic Republic of Iran to celebrate 38 years since the Islamic Revolution of Iran on 10th February 2017. 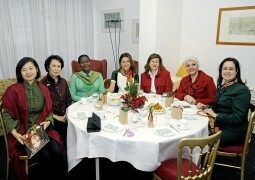 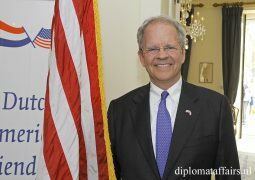 Upon arrival each and every guest was greeted with a warm and sincere welcome by Ambassador H.E. 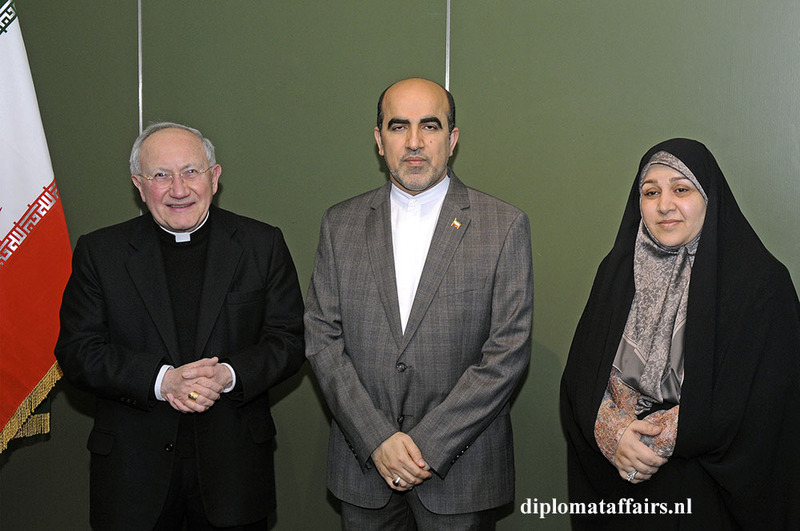 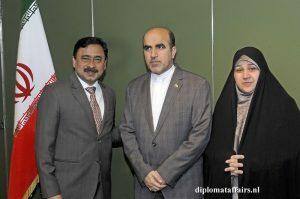 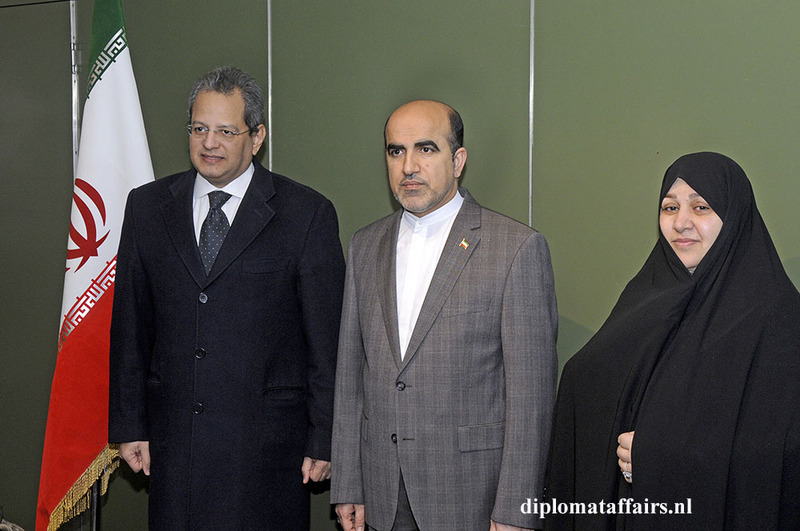 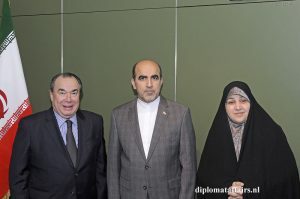 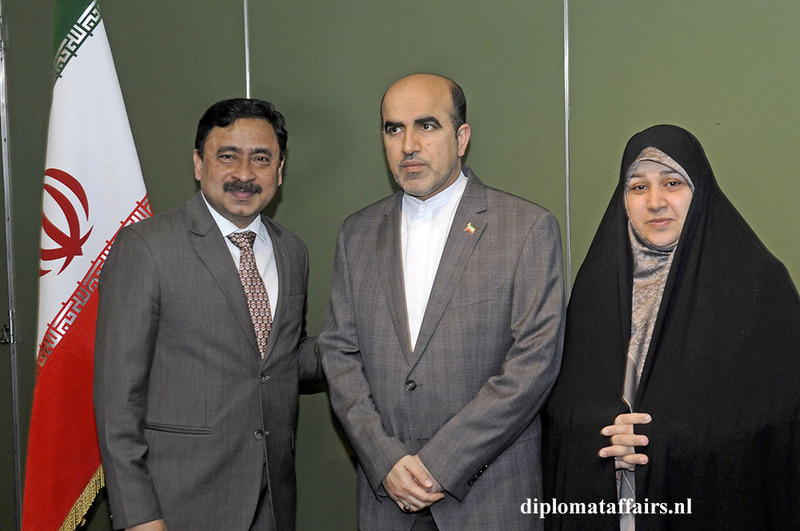 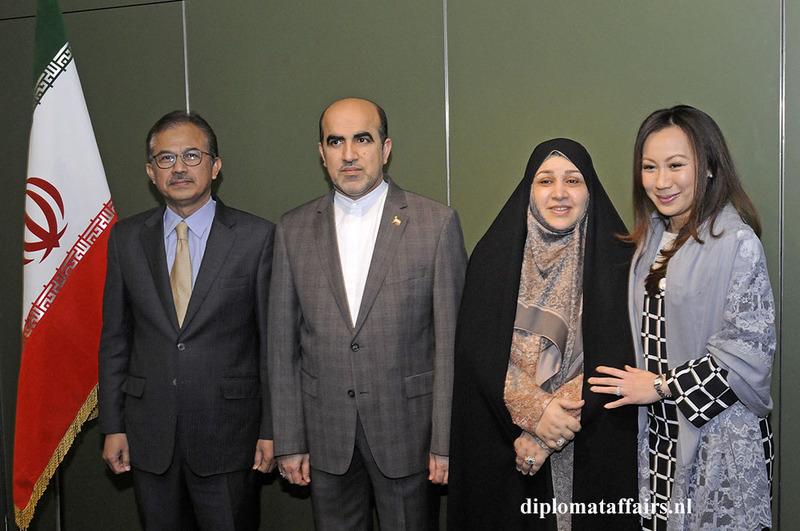 Prof. Dr. Alireza Jahangiri and his wife. 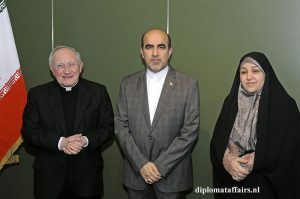 Soon after the Ambassador delivered a speech to express his honour and welcome to all his distinguished guests, he continued with a moment of silence held in memory of the late former President Rafsanjani of Iran and the death of his compatriots and several firefighters who passed away in the recent collapse caused by a fire in the Plasco building in Tehran. 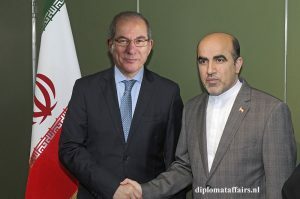 Proffesor Jahangiri emphasised his optimism for 2017 despite global challenges and conveyed Iran’s flourishing trade and economic prosperity that the international community has taken a comprehensive approach to strengthening. 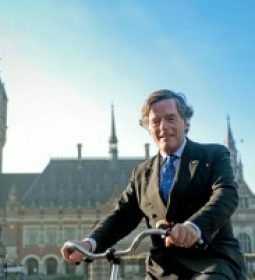 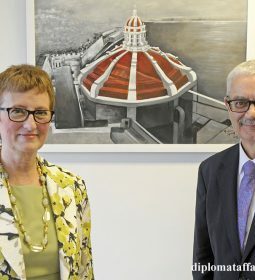 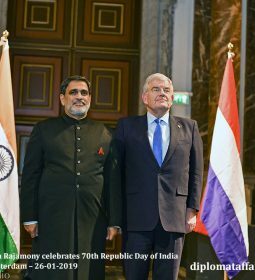 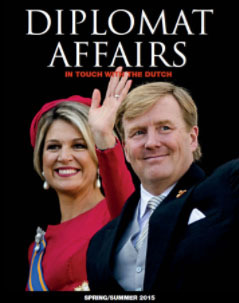 He expressed the strong relationship they have built with The Netherlands, particularly highlighting the new phase of their historical relations in the last three years, specially with The Netherlands leading Europe as the first largest trading partner for Iran in the European Union as of 2016. 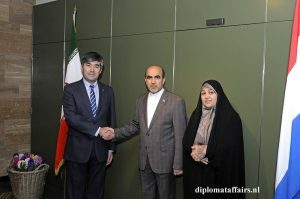 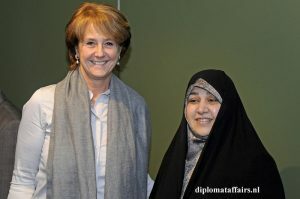 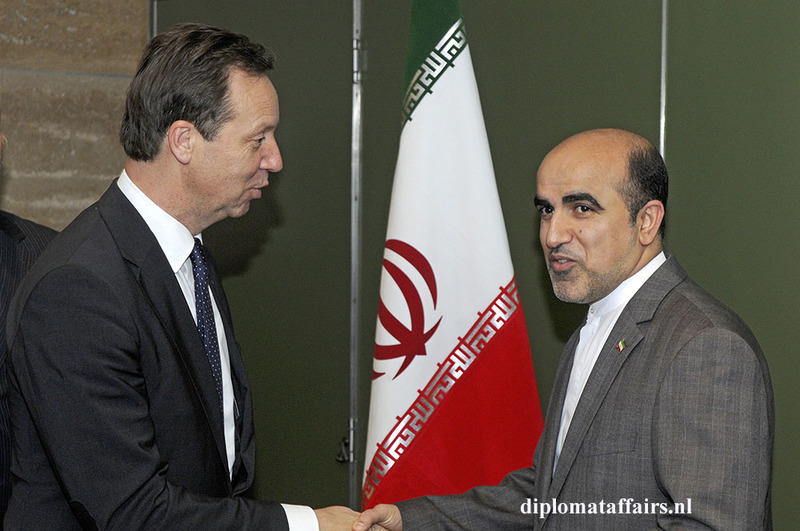 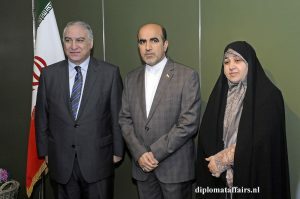 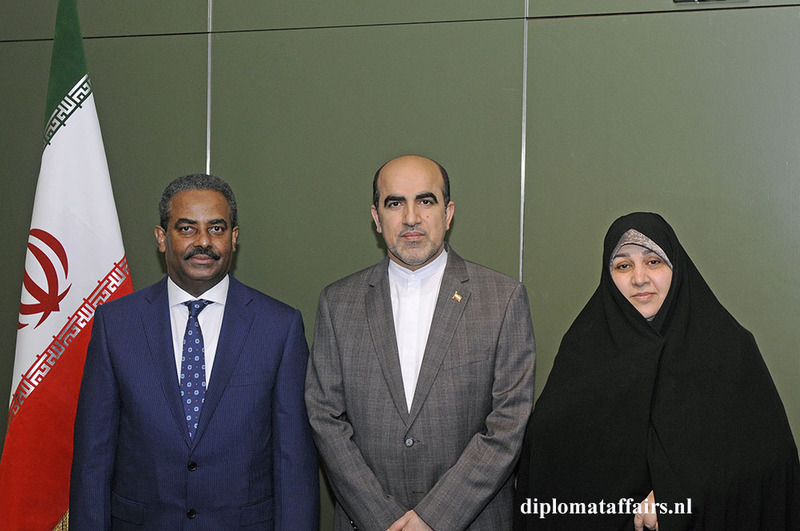 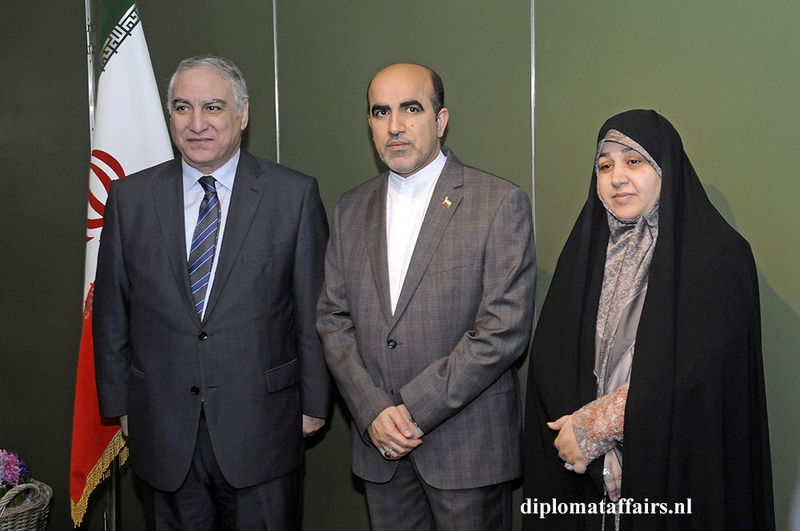 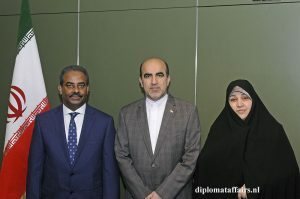 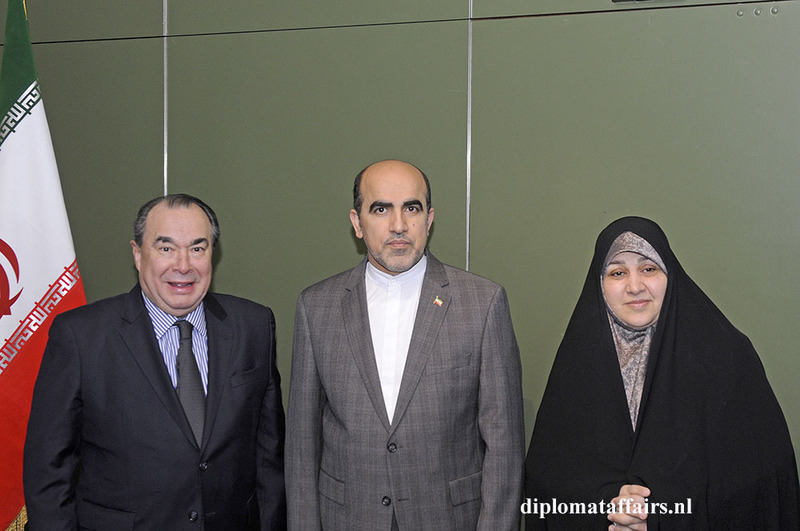 The two countries have exchanged several high ranking delegations throughout 2016 that include the visits of; Foreign Minister Mohammad Javad Zarif, Vice President and Head of Cultural Heritage Dr. Zahra Ahmadipour, Minister of Agriculture to the Netherlands and visit of Economic Affairs and Minister of Infrastructure and environment to Iran. 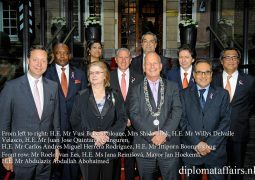 Accompanied by hundreds of companies who have received good results from both countries. 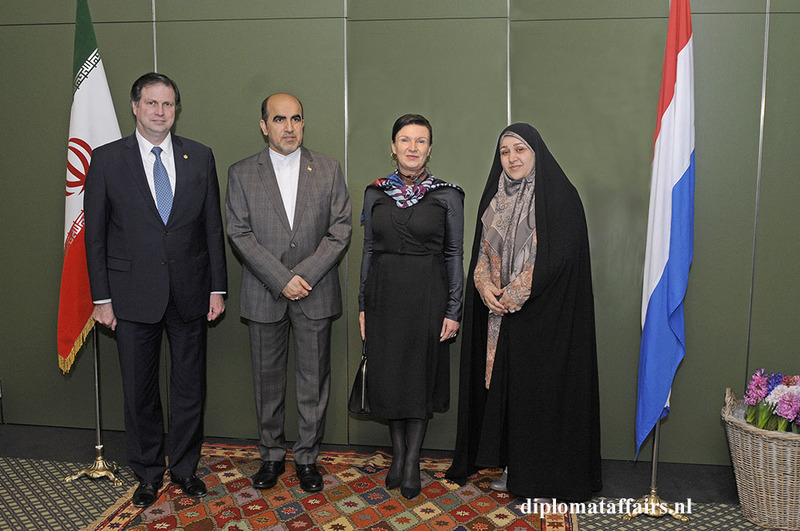 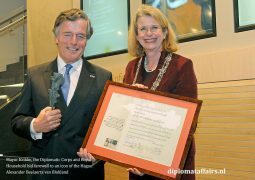 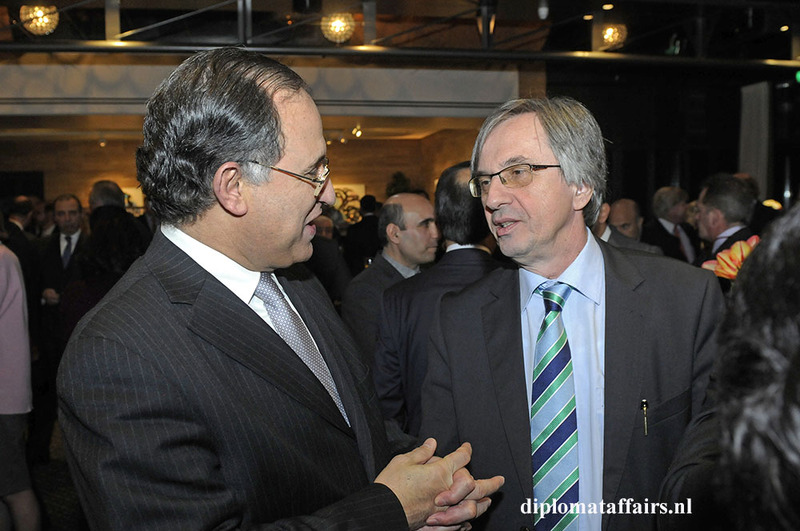 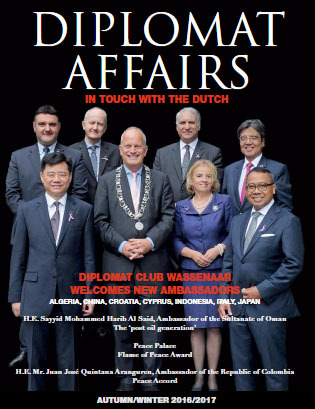 The Ambassador’s prosperous speech reassured guests of his enthusiasm that Iran will be playing a significant role in 2017 within the international organisations and the OPCW which are located in The Hague. 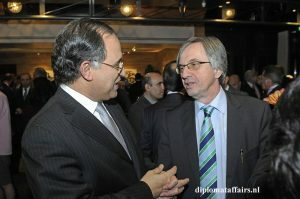 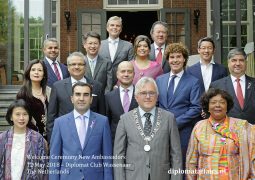 Delivering a special thanks to the organisations and especially to Ambassador Ahmet Üzümcü the Director General of the OPCW, as well as thanking all his guests for attending he gave us a heartfelt warning for us to leave our diets behind, so we could indulge in guilt free exquisite Persian cuisine. 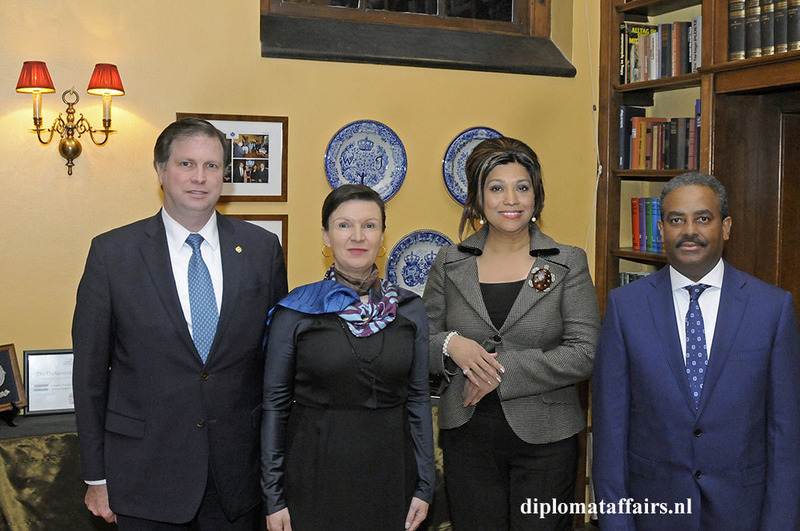 The evening was blessed with delightful company, stunning traditional Persian interiors and an array of Persian platters that filled our stomachs, heart and soul with the best flavours of Iran.